← An extract from my new British detective novel "Hereford!" On a cold winter’s Sunday, the pastor of a small rural church performs service for a tiny congregation, though he is suffering from a cold and a severe crisis of faith. “Winter light” is the second film in Bergman’s trilogy (the other two being “Through a Glass Darkly” and “The Silence”) that I like to call “The Spider-God” trilogy, as the idea of God being looked upon as a giant spider pops up in all three. However, the themes are more to do with man’s relationship with God, with this film certainly being the most attached to that theme as it involves a pastor, Tomas Ericsson (Bjornstrand), who somehow loses faith in the lord. In the opening ten or so minutes, we see a church service performed by Tomas, and we quietly get to meet the small congregation and learn a little about each character through Bergman’s direction and Sven Nykvist’s masterfully executed camera shots. When the service ends a fisherman named Jonas (Max Von Sydow) confides in Tomas and eventually tells of his intent to take his own life. In consoling Jonas, Tomas starts to talk about his own fears and his diminishing faith, and almost doesn’t notice when Jonas leaves the church for the last time. Tomas also receives a letter from a local school teacher, Maerta Lundberg (Thulin), whom has been his mistress for some time following his wife’s death four years previous, illustrating her love for him. Later, when Maerta explains her feelings in person, Tomas brushes her off and tells her he still loves his wife. He then goes on to berate her, saying he’s sick of her and wants to get away, Maerta however, still leaves with him and goes to the church for his next service. So you’re depressed and want to kill yourself? Well wait until you hear this! “Winter Light” is in my opinion a hopeless film. Certainly not hopeless in the bad sense, but each of the five main characters we meet are all left with a total lack of hope by the end. 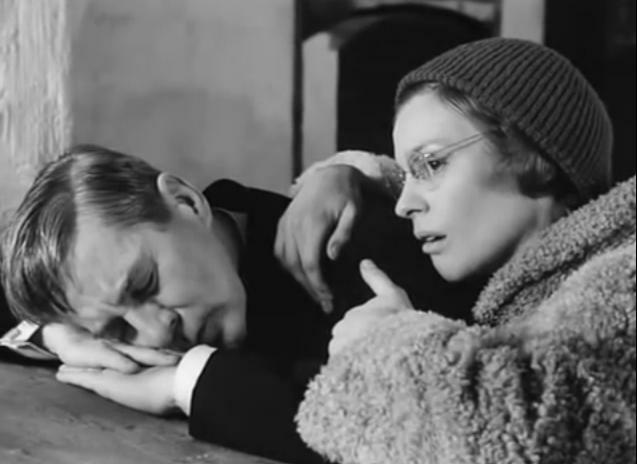 It’s pretty bleak, but beautifully shot as you’d expect from any Bergman film, so it doesn’t feel anywhere near as claustrophobic as it maybe could have. Obviously this sense of hopelessness at the end is just my interpretation as I’m sure many people’s thoughts after the abrupt ending will differ, so is all hope lost for these individuals? Is it really such a bleak film or is it a dark comedy, what do you think? 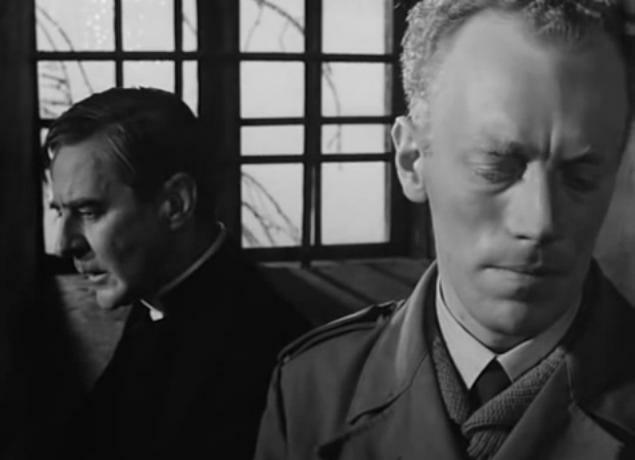 This entry was posted in Film Reviews and tagged black & white, bleak, drama, Ingmar Bergman, religion, suicide, Swedish. Bookmark the permalink. Brilliant review, I really need to watch more of Bergman’s movies.